The University of Iowa Stead Family Children's Hospital Autism Center, the Autism Society of Iowa (ASI), and the Iowa City Autism Community (ICAC) are joining together to host the first ever Iowa City Autism Fun Walk! The purpose of this walk is to promote understanding of autism and to benefit the Autism Center, ASI, and ICAC. 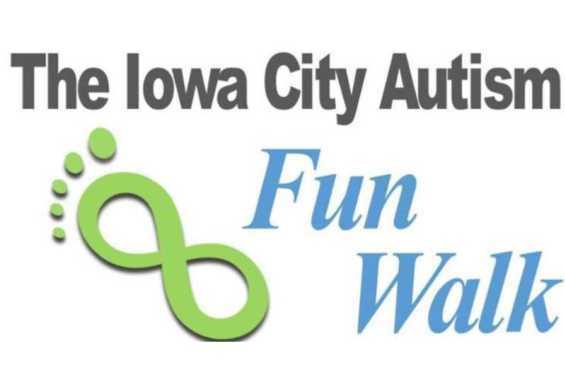 In addition to the walk (Shelter 2), we will have the University of Iowa Sparkles Cheerleading Squad, a Fire Truck, a visit from Herky, and the walk will be followed by a Nature Egg Hunt. We will also be offering a Silent Auction. Registration includes an official walk t-shirt. Please follow this link. You may register up to 40 participants as a team. All are welcome - come out and support the many autistic people and their families in our community.